The home’s 49-foot spectacular wall of glass. People love a good 'fish-out-of-water' story, especially when it works out well. That was kind of the challenge facing architect John Klopf (of Klopf Architecture) and general contractor Henry Calvert (of Calvert Ventures) in replacing an Eichler that burned down a couple years ago on Tarrytown Street in the San Mateo Highlands. "When you drive down the street, you don't want the house to stick out," Klopf said of designing this particular 'fish' for that particular terrain. 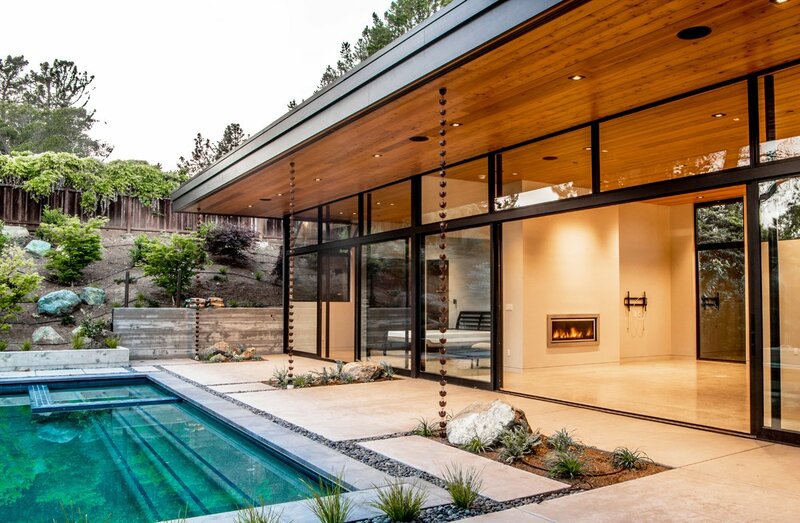 "It was a courtyard-entry Eichler…[but] it wasn't much of a house after the fire. It was more of a concrete outline." 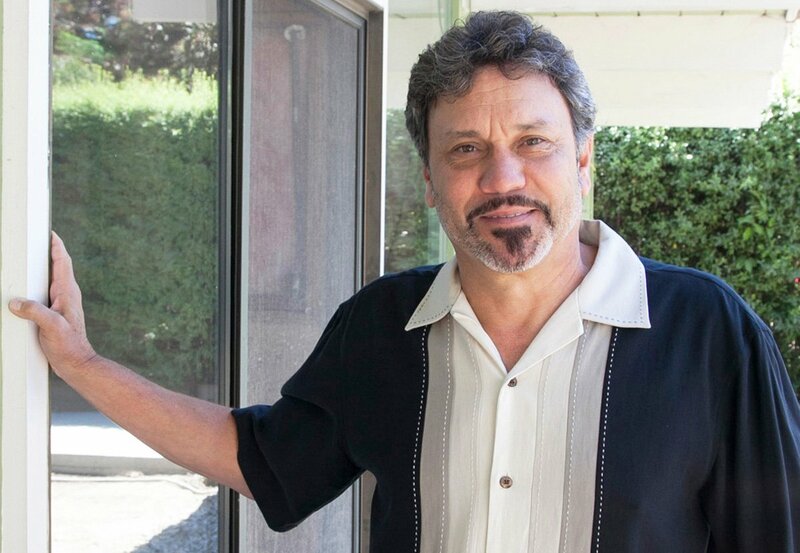 Calvert, who presently lives in a Highlands Eichler (his third) and has worked on scores of them, knew the significance of the challenge, rhapsodizing, "There's a real easy flow living in an Eichler. I don't want to say they're cool—but they're cool." 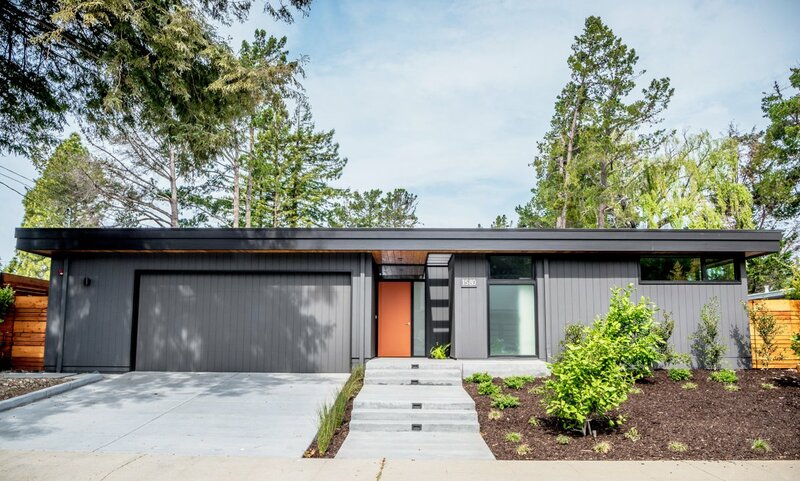 Even after purchasing the lot and getting recommendations from Eichler-owning relatives to hire Klopf and Calvert—professionals who shared their admiration for mid-century modern—homeowners Patricia Siguenza and Marlon Reyes and their team had several prominent challenges. "Basically, we had an empty, postage-stamp lot to work with," recalls Calvert. As a result of plans by the previous owner to rebuild the house, "Somehow, it got grandfathered in as a 'remodel.'" The builder called it "counter-intuitive" that building a house based on clean lines and simplicity will actually take longer than the seven or eight months it takes him to build a more conventional home. Long story short, he said of the 12-month project, "It turned out great." It certainly did. Start with the house's spectacular signature, a massive 49-foot by 12-foot wall of glass that bisects it, starting near the front of the house and extending to the back.